Addis Ababa is the capital city of Ethiopia and the African Union, as well as its predecessor, the OAU. 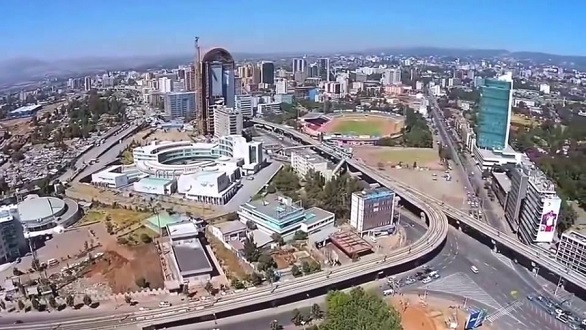 As a chartered city (rasgezastedader), Addis Ababa has the status of both a city and a state. The city has as many as 80 nationalities speaking 80 languages, and Christian, Muslim, and Jewish communities. Addis Ababa is located about 2,500 m above sea level. The site was chosen by Empress TaytuBetul and the city was founded in 1886 by her husband, Emperor Menelik II, and now has a population of around four million, and an eight per cent annual growth rate. The city lies at the foot of Mount Entoto, and is home to Addis Ababa University. Addis Ababa University was formerly known as Haile Selassie I University, after the former Emperor of Ethiopia, who donated his GeneteLeul Palace to be the University main campus in 1961. Addis Ababa was founded by the Ethiopian emperor Menelik II. However ethnic Oromo Ethiopians had lived on the land before the foundation of Addis Ababa, in a small settlement known under the Oromo name Finfinne. Other parts were called Fil wiha in Amharic (“hot springs”). Menelik, as King of Shewa, had found Mount Entoto a useful base for military operations in the south of his realm, and in 1879 visited the reputed ruins of a medieval town, and an unfinished rock church that showed proof of an Ethiopian presence in the area prior to the campaigns of Ahmad Gragn. His interest in the area grew when his wife Taytu began work on a church on Entoto, and Menelik endowed a second church in the area. However the immediate area did not encourage the founding of a town due to the lack of firewood and water, so settlement actually began in the valley south of the mountain in 1886. Initially, Taytu built a house for herself near the “Filwoha” hot mineral springs, where she and members of the Showan Royal Court liked to take mineral baths. Other nobility and their staffs and households settled the vicinity, and Menelik expanded his wife’s house to become the Imperial Palace which remains the seat of government in Addis Ababa today. Addis Ababa became Ethiopia’s capital when Menelik II became Emperor of Ethiopia. The town grew by leaps and bounds. One of Emperor Menelik’s contributions that is still visible today is the planting of numerous eucalyptus trees along the city streets. On 5 May 1936, Italian troops occupied Addis Ababa during the Second Italo-Abyssinian War, making it the capital of Italian East Africa. Addis Ababa was governed by the Italian Governors of Addis Ababa from 1936 to 1939. After the Italian army in Ethiopia was frustrated by Ethiopian patriots, and defeated with British help during the Liberation of Ethiopia, Emperor Haile Selassie returned to Addis Ababa on 5 May 1941—five years to the very day after he had departed—and immediately began the work of re-establishing his capital. Emperor Haile Selassie helped form the Organization of African Unity in 1963, and invited the new organization to maintain its headquarters in the city. The OAU was dissolved in 2002 and replaced by the African Union (AU), also headquartered in Addis Ababa. The United Nations Economic Commission for Africa also has its headquarters in Addis Ababa. Addis Ababa was also the site of the Council of the Oriental Orthodox Churches in 1965. Addis Ababa is the headquarters of the United Nations Economic Commission for Africa and the African Union. The fossilized skeleton, and a plaster replica of the early hominid Lucy (known in Ethiopia as Dinkinesh) is preserved at the Ethiopian National Museum in Addis Ababa. 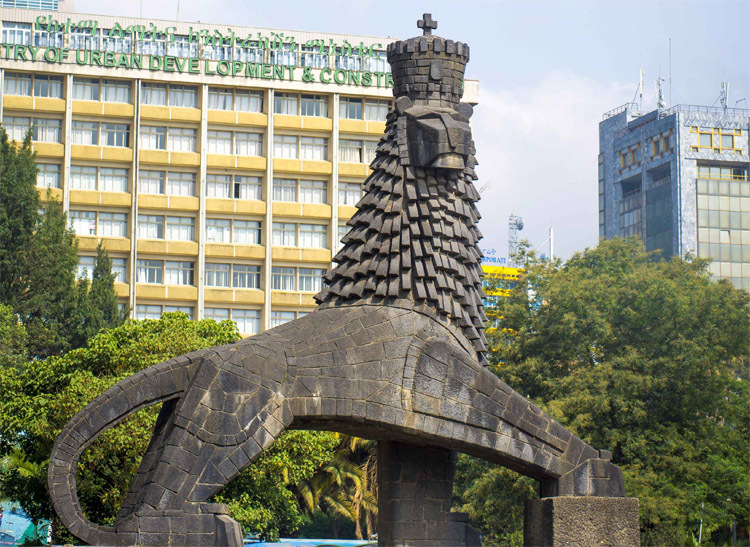 The city is home to the Ethiopian National Library, the Ethiopian Ethnological Museum (and former palace), the Addis Ababa Museum, the Ethiopian Natural History Museum, the Ethiopian Railway Museum, and the National Postal Museum. Notable buildings include St. George’s Cathedral (founded in 1896 and also home to a museum), Holy Trinity Cathedral (once the largest Ethiopian Orthodox Cathedral and the location of Sylvia Pankhurst’s tomb) as well as the burial place of Emperor Haile Selassie and the Imperial family, and those who fought the Italians during the war. There is also Menelik’s old Imperial palace which remains the official seat of government, and the National Palace formerly known as the Jubilee Palace (built to mark Emperor Haile Selassie’s Silver Jubilee in 1955) which is the residence of the President of Ethiopia. 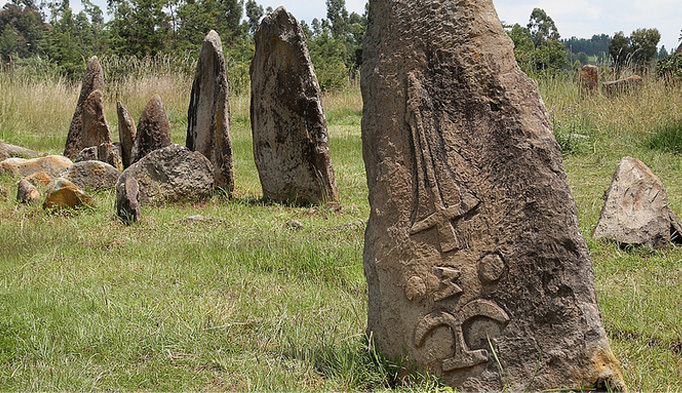 Tiya is best known for its archeological site, which is distinguished by 36 standing stones or stele, “32 of which are engraved with enigmatic symbols, notably swords,” marks a large, prehistoric burial complex. Tiya is the most important of some 160 archaeological sites in the Soddo region, 82KM south of Addis Ababa, in Ethiopia. This is a site of an ancient Ethiopian civilization that are visible in Tiya and their monuments, including carved stele with strange symbols that have yet been interpreted. The most outstanding monuments in Tiya are the standing stones or stele that marks a prehistoric burial complex. The stele are engraved with ancient symbols; most notably swords. Tiya is one of Ethiopia’s World heritage site registered on 1-5 September, 1980. 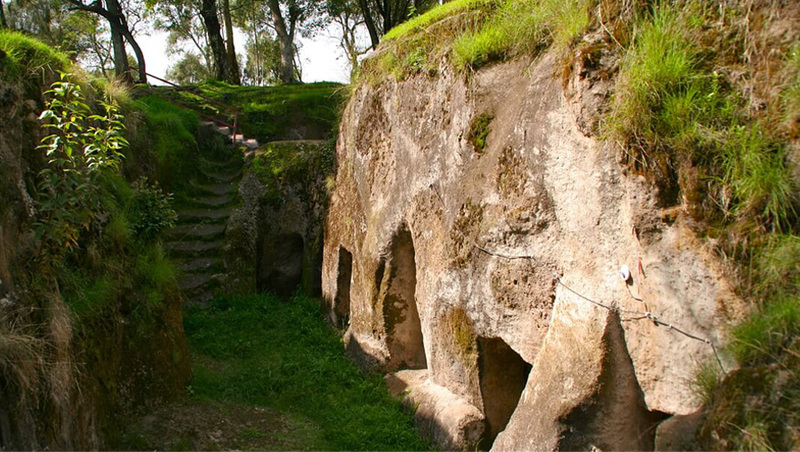 Melka konture is the only open Palio-anthropological site in the country located 60km away from Addis Ababa. The museum displays various old stone tools which dates back over 1.7 million years. Melka Kuntre is located 60 km south of Addis Ababa on the way to Tiya. Stone Age site (between 1.5 and 1.8 Million years old), contains many samples of Stone Age tools of the early Homo sapiens. The collections are results of the excavations of the last decades. The samples are well exhibited in show rooms and there is very good scientific explanation about Stone Age tools in general and the site in particular. Located 104 km north of Addis Ababa off the road to the historic route is a 13th century religious center called Debre Libanos monastery, in Ethiopia,and was founded by the monastery’s Ichege known as the chief abbot designated the second most powerful official after the Patriarch in the church. 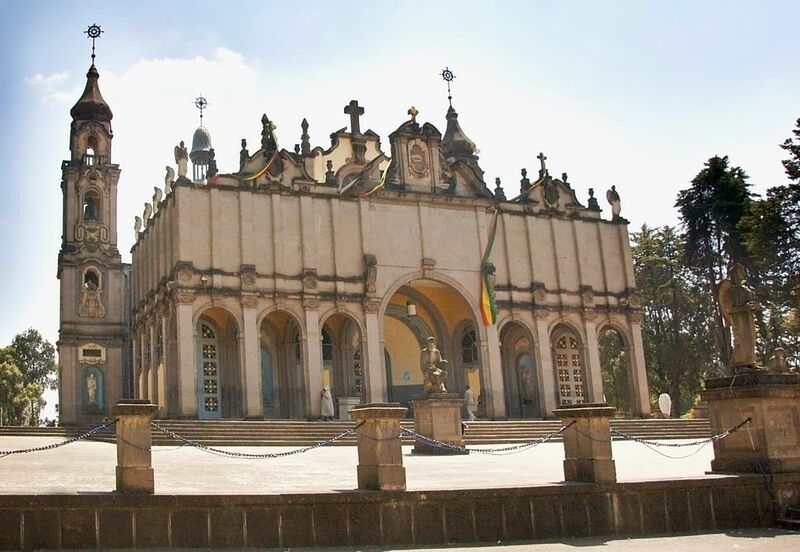 The monastery complex sits on a terrace between a cliff and the gorge of Jama Valley on the drainage system of Blue Nile River and was built in memory of St. Tekle Haymanot, the most valued saint in Ethiopian Orthodox church. He was a critical figure in establishing Ethiopian national identity and was influential in “restoring” the Solomonic dynasty and revitalizing monasticism, which were central to both religious and cultural life. The Blue Nile Gorge is situated 225kms north of Addis Ababa. This majestic and massive gorge is the most captivating gorge in Africa. It is noticeably hot as you drive down the gorge. The area has a magnificent, captivating physical feature and natural beauty. One of the nicest canyons in Africa and the earth’s greatest gorge systems that remain mysterious and for the most part unexplored. These geographical regions are unique as they are and in many cases, undeveloped, natural gardens, with much similarities to the Grand Canyon of North America. 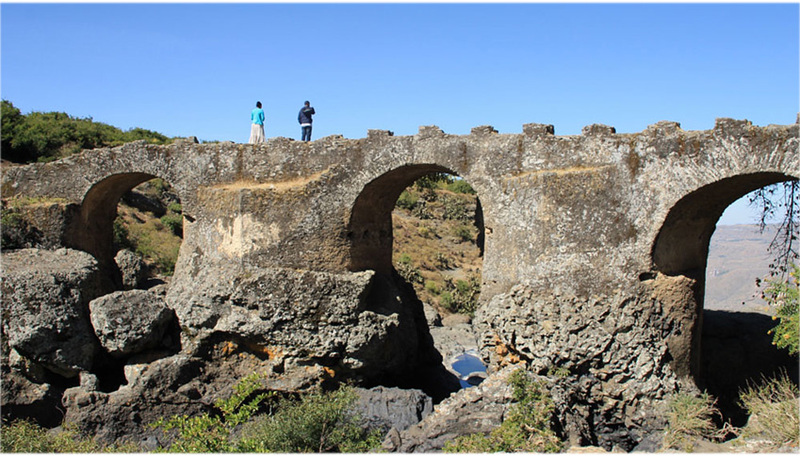 Ankober is situated 155km north east of Addis Ababa off the road from Debre Birhan and is one of historical places in the history of Ethiopia during the late 18th and early 19th century. It was the seat of the Shoa kings, during the reigns of King Sahle Sillasie, Hailemelekot and the early years of Menlik II. 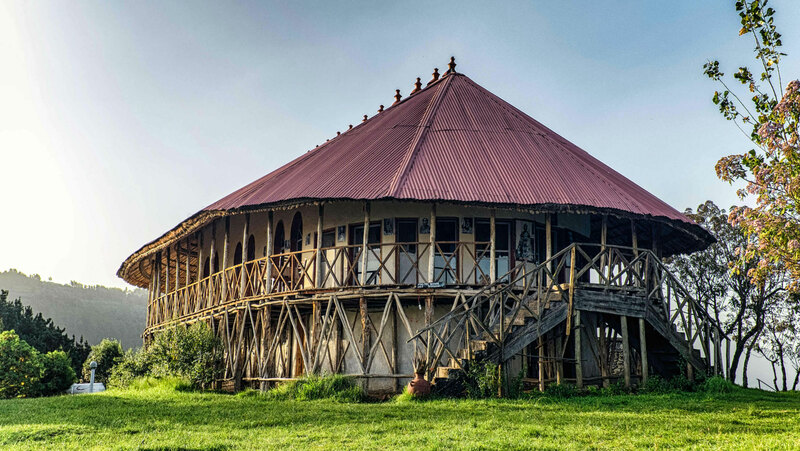 The famous palace of Ankober is situated on a commanding height with a spectacular view of the rift valley extending to the Harrergie Mountains. Gelada Baboons (endemic to Ethiopia) are plenty, sporting on the cliff edges of Ankober. 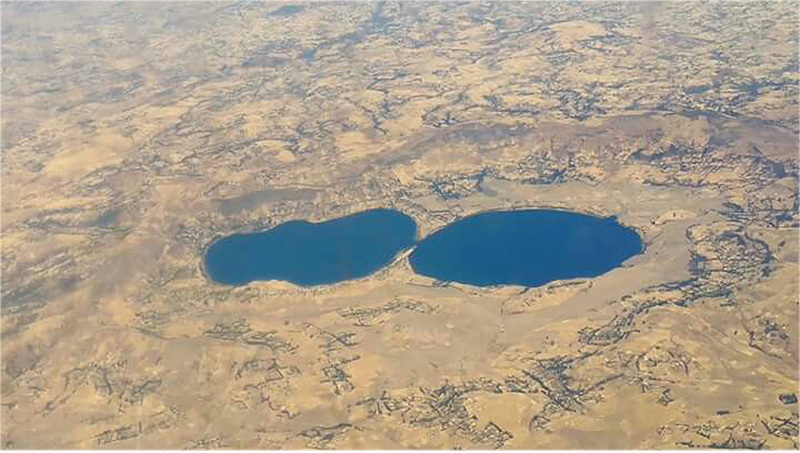 Wonchi Creator Lake is situated 157 km south west of Addis Ababa and 32 km south of Ambo. 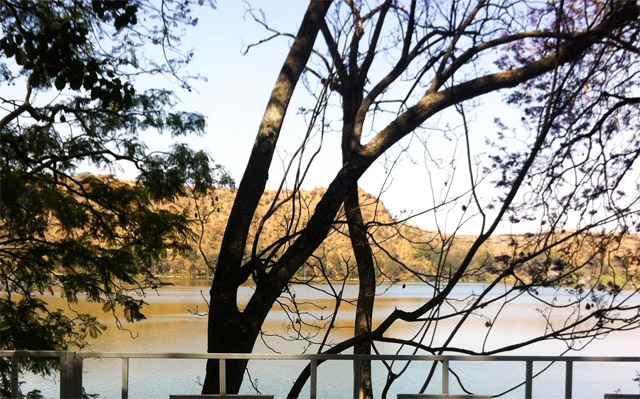 Covering an area of 560 hectares, the lake and its surrounding are one of the best sights for nature admirers. Horse riding and boat trip are the lively activities you can perform. The lake is surrounded by mountains with dense forest. The alpine nature of the climate is worth experiencing. The scenery is a breath taking with the lake and an island monastery dotted there. 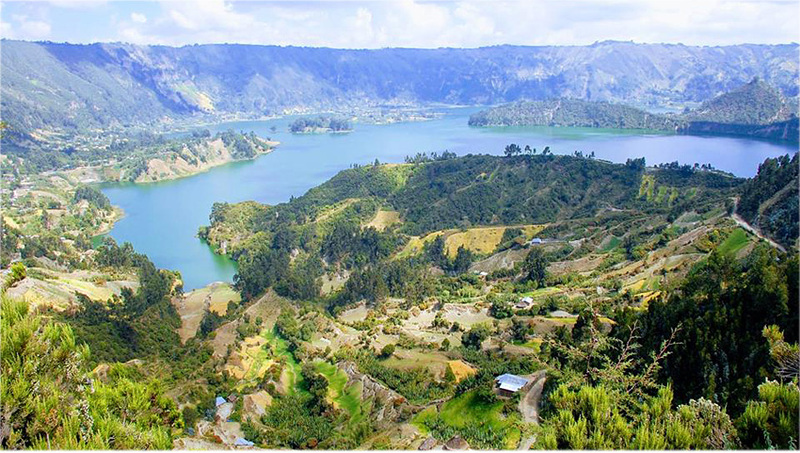 Lake Dendi is a crater lake in West Shewa about 127km (79mi) southwest of Addis Ababa. The dumbbell-shaped Crater Lake is NW-SE oriented, and has its surface set at elevation of 2,836 meters (9,305 feet) above sea level. The lake is about 5km (3mi) long, 2km (1.2mi) wide narrowing down to only about 220m (722ft) at the center where the two craters form an opening to merge which otherwise could have been two separate lakes. 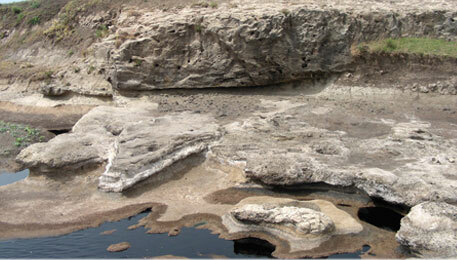 The surface area of Lake Dendi is about 8km² (3mi²). As you are approaching DENDI Lake, you will be captivated by the gorgeous sight and magnificent natural location of DENDI, which is shaped like the figure is filled by sky blue and highly sweet water naturally renewed by flow of rainwater from the surrounding mountains. Dendi Lake is surrounded by huge flat green area which increases the fresh splendor and beauty of the landscape that make Dendi Lake a unique spot for nature lovers. 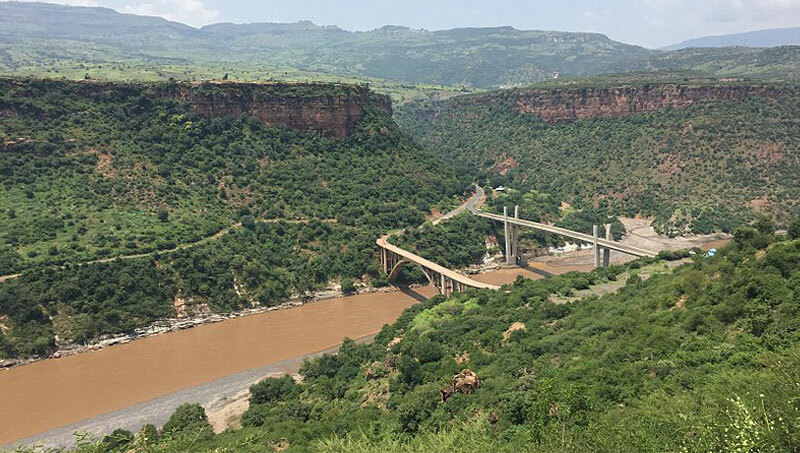 Debre Ziet, also known as Bishoftu by the local Oromo people lies at 45 km south east of Addis Ababa on the highway leading to the eastern and southern part of Ethiopia. Debre Ziet (Bishoftu) is found at an altitude of 1950 meters with moderate type of climate surrounded by 7 creator lakes which were formed by a series of volcanic explosions. The lakes are Hora, Bishoftu, Babogaya, Kuriftu and Chelaka Lake. Some of the lakes are ideal for boating and water-skiing. The area is home to many species of birds and plants.